This week is my fourth week on the spin being involved in a Learning Tree Course. This week we have double bubble. I teaching a Course today and I'm Producing a course tomorrow. 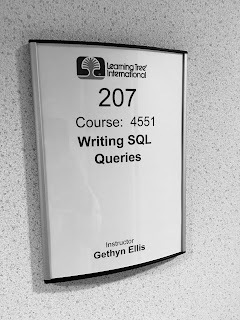 Today I will be teaching a one day course titled Writing SQL Queries. This course provides and introduction to writing queries, using the SELECT statement in SQL. If you would like to join Learning Tree I have some great courses available at a Great price. Check out the Great Value IT Training page for this week's offers. I'll be live blogging today's one day virtual event. 16:25 That's a wrap - a very good, the attendees seemed to enjoy the course. They're all off to practice their new skills in the sandbox environment and I'm off too...For the producer meeting for tomorrow's 244 event. I'll see you then. 15:50 SET Operators UNION, UNION ALL, INERSECT, EXCEPT to finish the day. 13:10 Started backed after lunch with a discussion around NULL values and how to handle them in SQL queries. 12:10 Exercise done and we're off to lunch. Well I am, This is a virtual event, so everyone is attending online today. The classroom is empty. 10:20 Its the first coffee break of the morning. Exercise 1.1 completed. 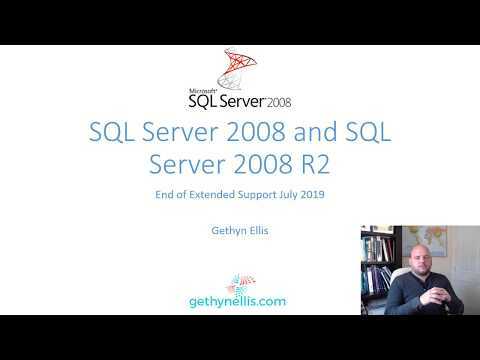 10:10 With the introductions complete and the introduction to the class environment, a little refresher on relational database theory the class are looking to complete the first lab. With some joins thrown in for good measure. It should be a fun day. 08:30 The class is setup and we're good to go. This is a virtual event so we have nobody in the class. everyone is attending online.